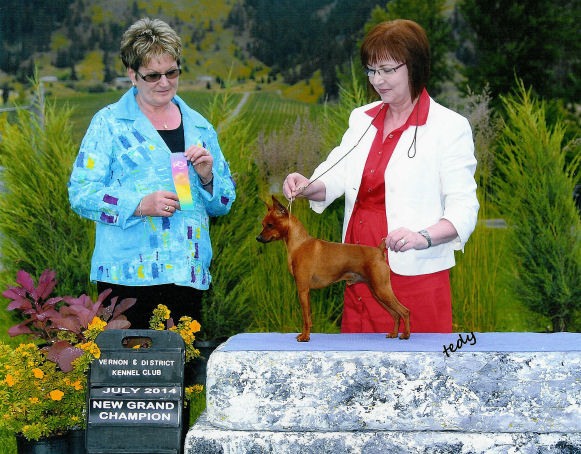 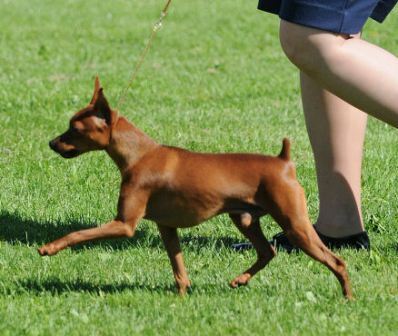 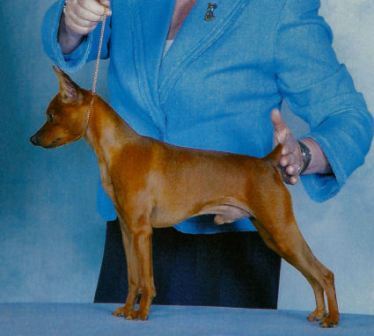 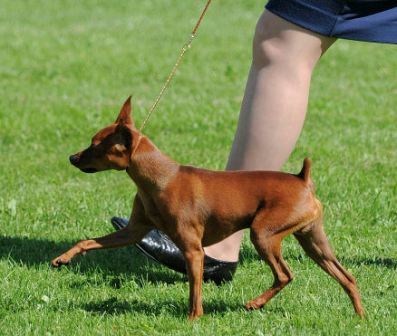 Achievements: Rebel was a singleton puppy and sold to Kathie Davies in Canada has done very well. 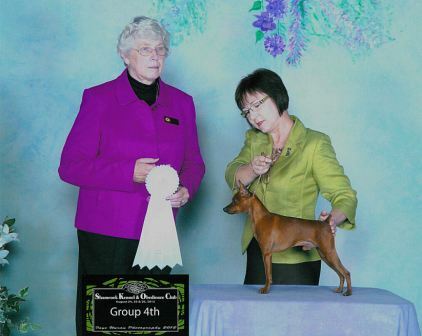 He is currently ranked No. 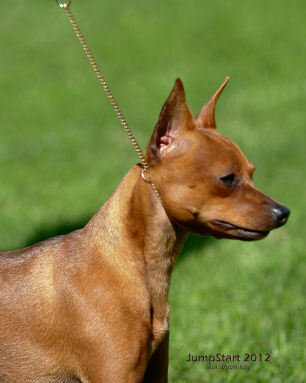 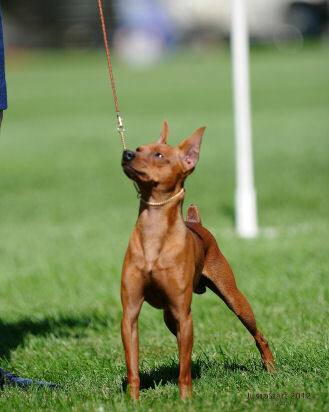 6 Min Pin there. 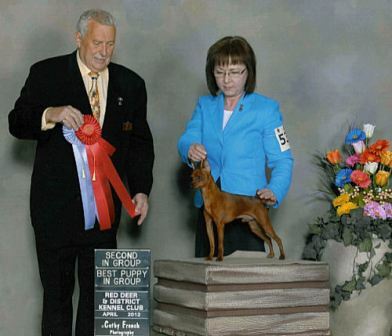 He came out of the box winning Puppy Group I and has many other group wins. 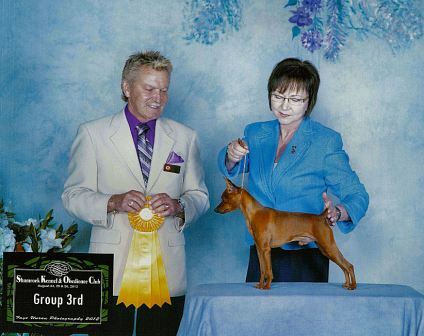 Kathy has continued to show Rebel and won many group placements and rally awards with him. 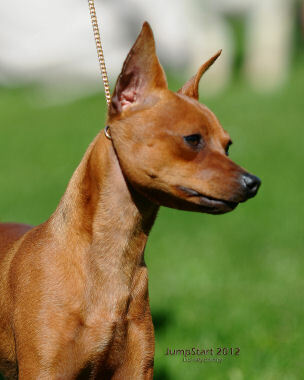 He is a beautiful dog with a good temperament and Kathy has done very well by him in her loving home.